Dhruv Panchal is very young boy of 16 years studying in St. Xavier's and has completed his 10th grade. Due the relapse of the deadly disease called Leukemia (Blood cancer) he is not able to continue his further studies. Dhruv stays in a family with his father who runs a shop of repairing refrigerator and air condition, his mother is a housewife and his sister who is an engineering student in Swaminarayan college, Bhat. 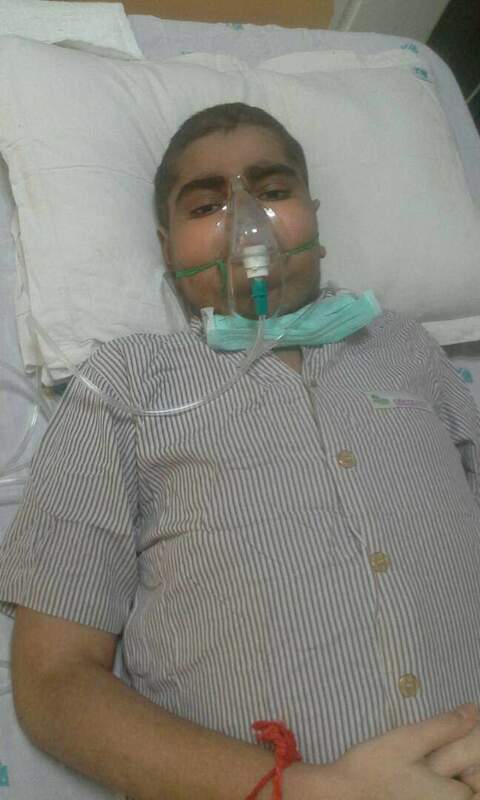 There is no other source of income for the family, Dhruv's father has given his house for sale and the savings of the family has been used in the treatment of Dhruv till date, and now it has become necessary to undergo a Stemcell transplant for his survival. 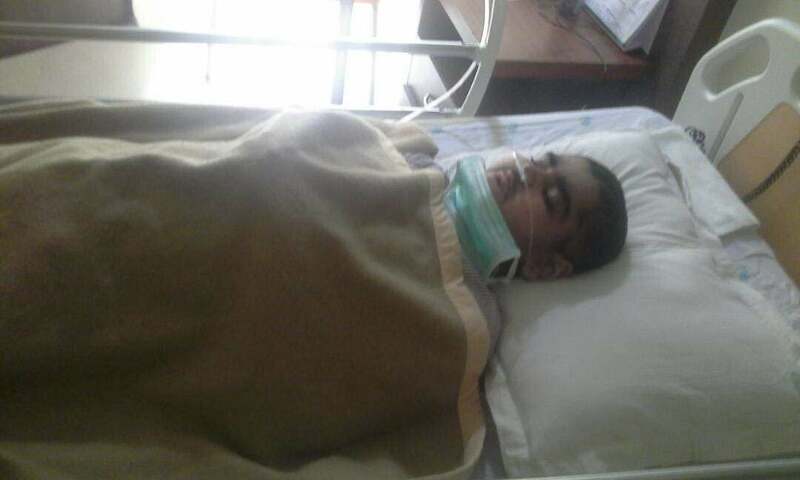 PLEASE help Dhruv fight with the disease and support his family monetarily for dhruv's survival. We have some sad news to share with you. Dhruv Panchal passed away at noon on the 14th June 2017. He had been diagnosed with Leukaemia (Blood cancer) and was being treated for the same. Over the course of treatment, he developed lung infection and it spread rapidly. Unfortunately, he could not make it. Thank you for the love and support. Please keep the family in your prayers. I am Debotri, a fellow at Milaap. 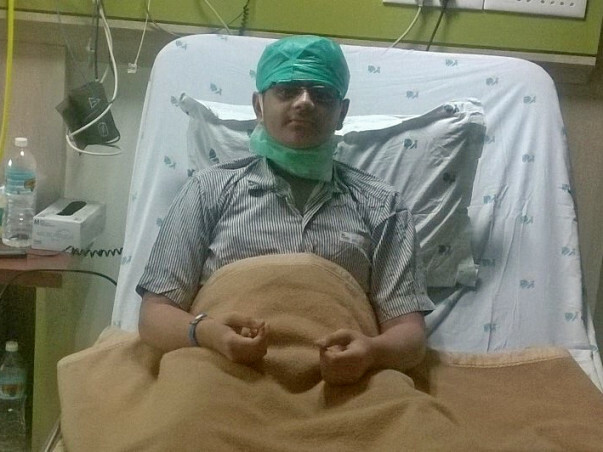 Here is an update on Dhruv's treatment. I spoke to Dhruv's father, Bharat, this morning. "Madam, his transplant took place on 15th September 2016, after which he was all okay. We used to come from Naroda, our hometown, to the hospital for weekly checkups. But from last 2 months, things have gone for a toss. In March, he suffered from diarrhoea and liver problem. He was admitted to the hospital for almost 15 days. And now, from the past couple of days, he is down with serious lung infection. Whatever treatment of Dhruv has happened is because of the donors who supported us during the time when we almost broke down. Thank you, donors, for coming forward to help my child", he said. Dhruv is admitted to the ICU in Apollo hospital since 4th May 2017. His condition is little serious right now. The doctors suggested his lung infection is a kind of pneumonia. Currently, he is extremely weak and fragile. His counts are slightly low. WBC count is 1500, haemoglobin is 8 and the platelets count is 15000. Although the counts are fluctuating, the doctors suggested that it cannot go low anymore. "My son is extremely intelligent. He wants to resume to school, but because of this recent ailments, he will have to drop school for this academic year. His birthday is on 11th December and I wish he gets well soon. Please pray for his speedy recovery", said Dhruv's mother, Lata. Dhruv was hospitalised from 24th March to 4th April 2017. They had spent almost 2 lakhs 20 thousand during that time. They managed to clear the bill by exhausting all their savings. For the stay in ICU presently, the bill amount has risen to almost 2 lakhs. And the doctors have suggested him to stay for almost a 10 to 12 days more. "We have almost nothing now to help our child. We don't want him to suffer anymore. Please spread the story and help him to fight a battle. Thank you for your support and contribution", said the father. We wanted to thank you in the biggest way possible. We will keep you posted on his health. We are pleased to inform you that Dhruv is doing well after the transplant. He is responding well to his treatment and the doctors are optimistic about his recovery. He is being monitored via blood tests twice a week. After three months, if his reports remain clear, his blood tests will be reduced to once a week. Dhruv had passed his 10th grade exams with 89 percent. He is not yet healthy enough to resume school for the next academic year. He is interested in Biology and is likely to pursue a science degree once he has been declared fit. However, his spirits remain high and he reads 11th grade science textbooks to keep up as much as he can. He also likes watching sports and cartoons on TV. Get well soon Dhruv, you are a very brave and a determined child who will come out from this definitely. God Bless you.